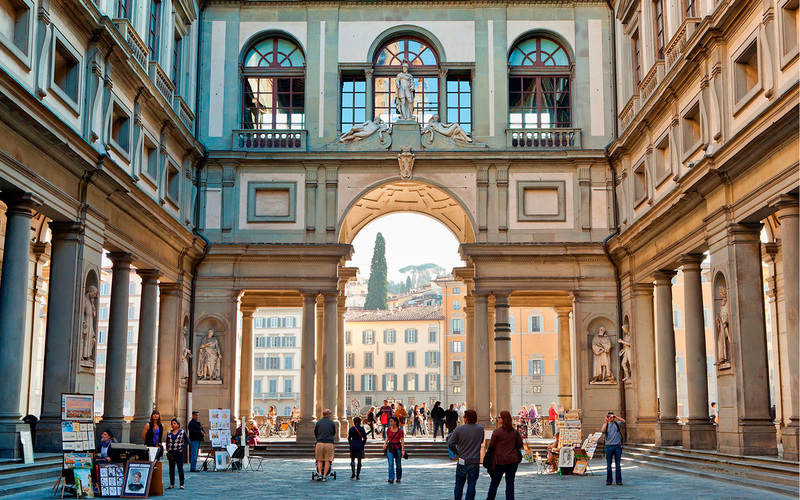 The city’s ancient centre will be the spectacular frame for this walking tour dedicated to Florence’s glorious past as well as its vibrant modern life. 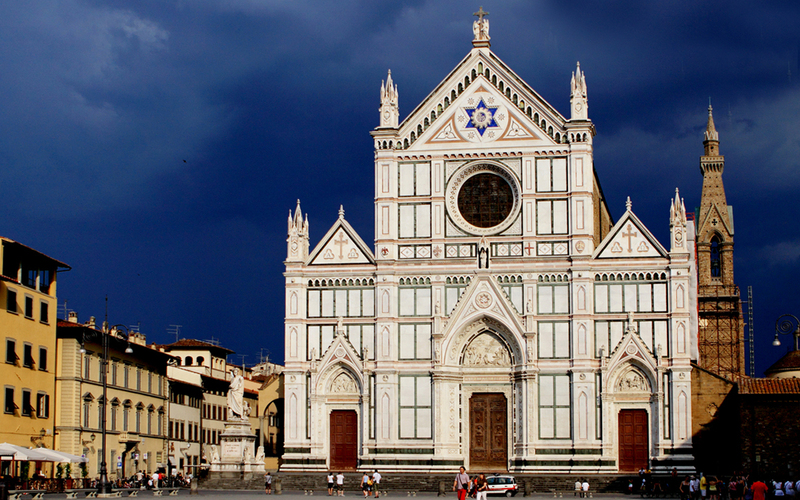 The slow pace will allow you to discover and enjoy the most important monuments of the birthplace of the Renaissance. 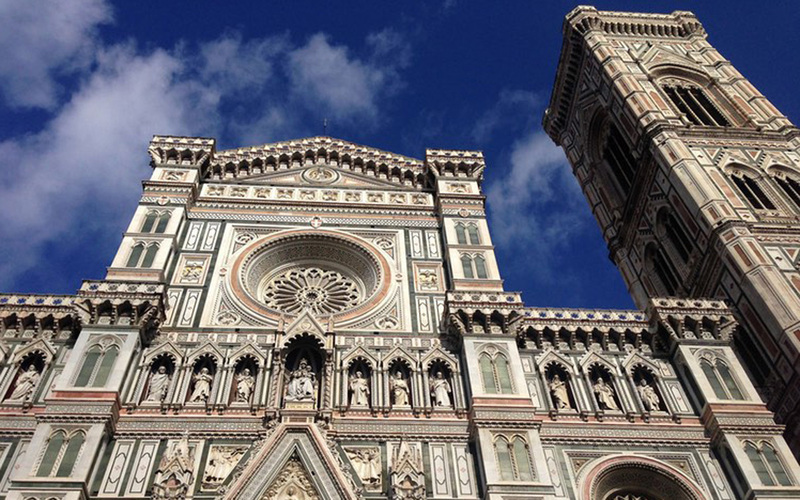 The guided tour will introduce you to the historic center of the city. 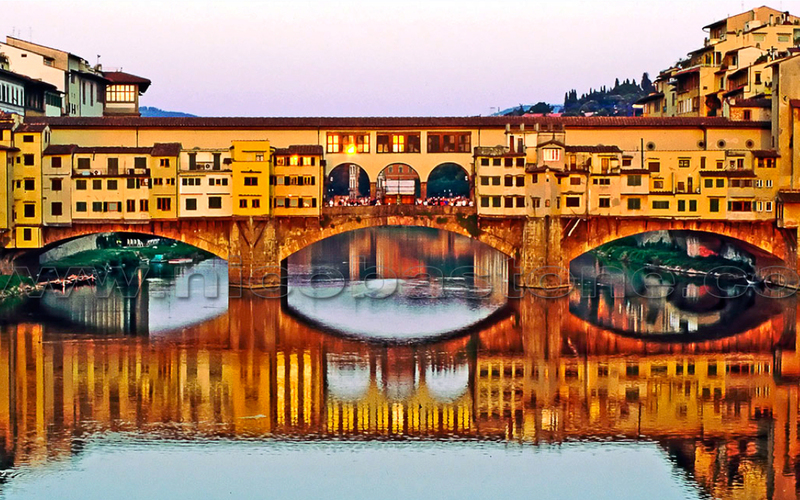 We will cross the most famous beautiful and important sights of Florence. 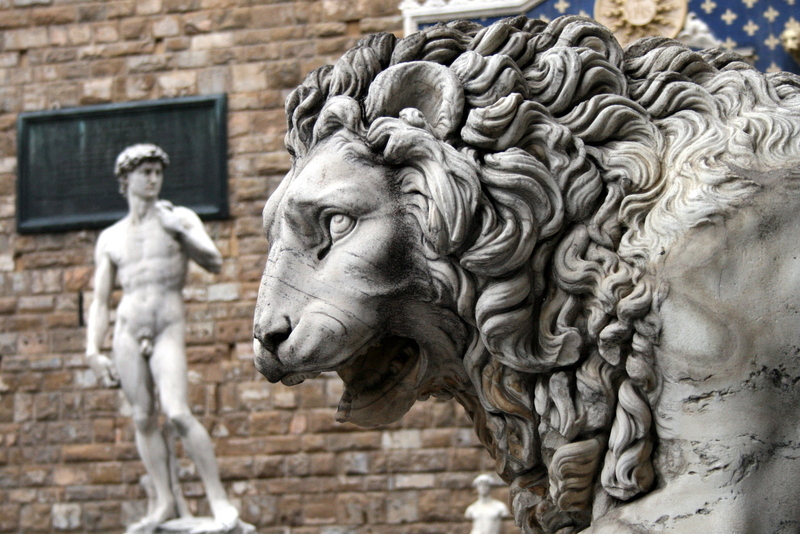 Piazza Signoria with the famous sculptures, for example Michelangelo’s David and Cellini’s Perseus with head of Medusa. 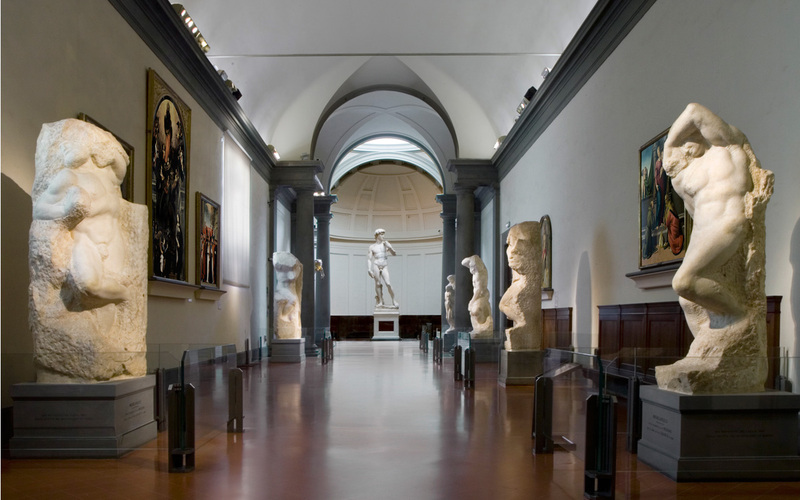 The Uffizi Gallery, the most important state museum in Italy. 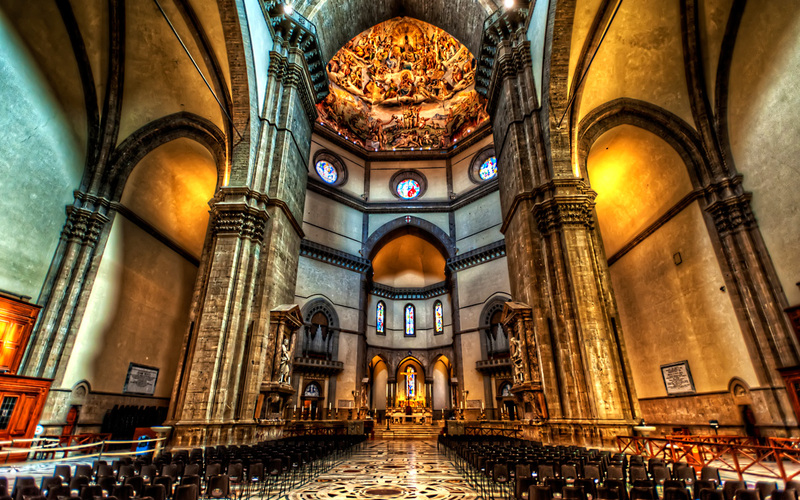 Santa Croce church where the most important people are buried, like Michelangelo. 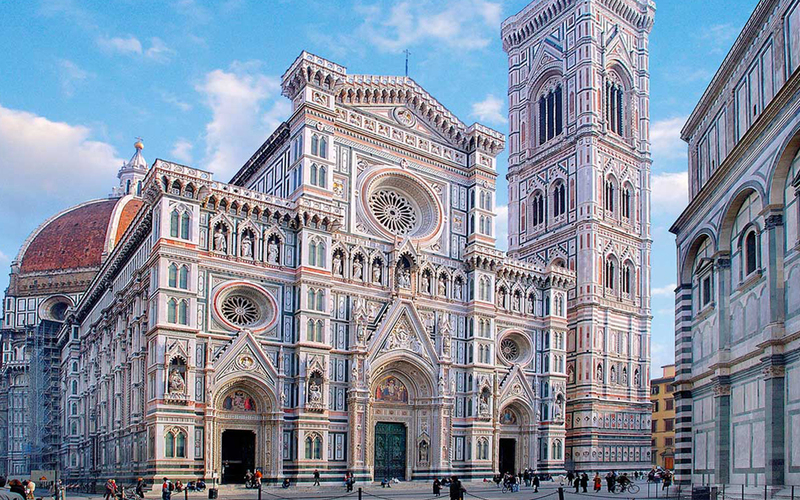 The Cathedral of Santa Maria del Fiore and the Baptistery with its famous bronze doors. 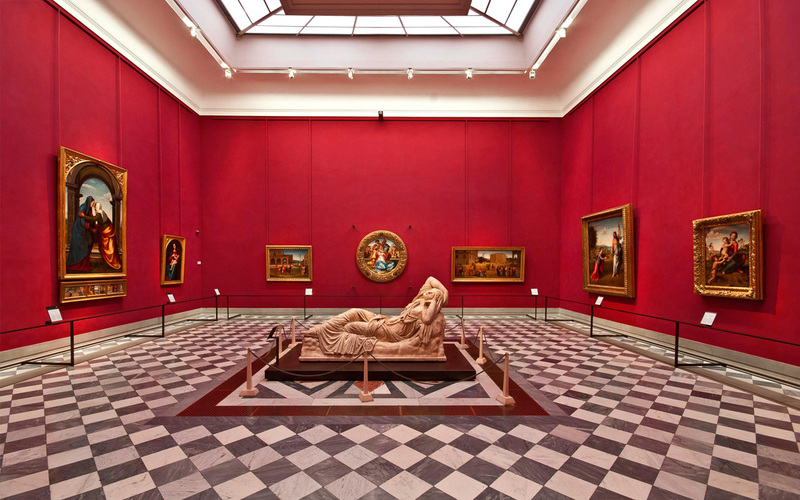 If you love paintings and you want to spend some time surrounded by unforgettable artworks, my private guided tour at the Uffizi museum won’t disappoint you. 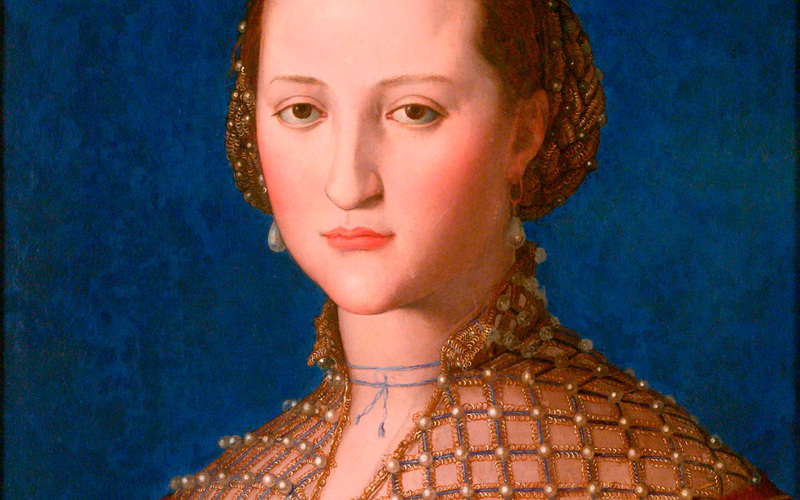 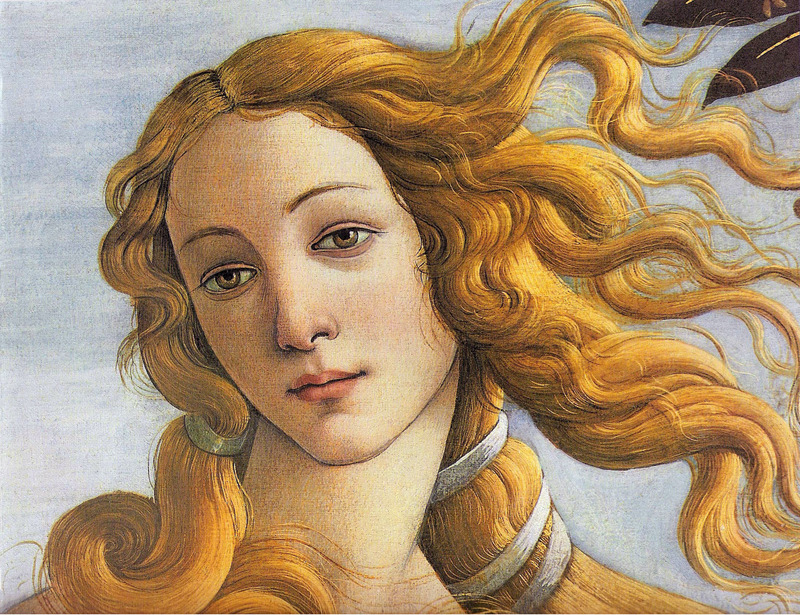 We will focus on the greatest Florentine Renaissance paintings made by artists such as Botticelli, Leonardo da Vinci, Michelangelo amd many others. 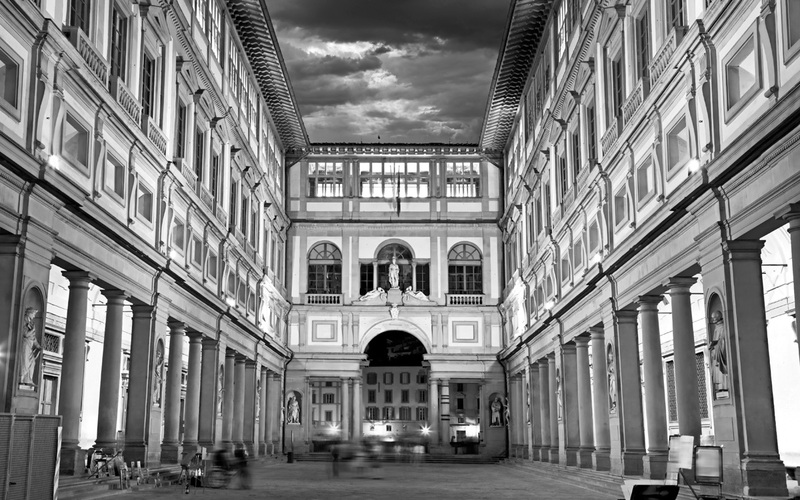 The Uffizi Gallery will also give me the opportunity to talk about the Medicis, bankers and patrons in Florence, who commissioned it in the late 16th century and the function the building had at that time. 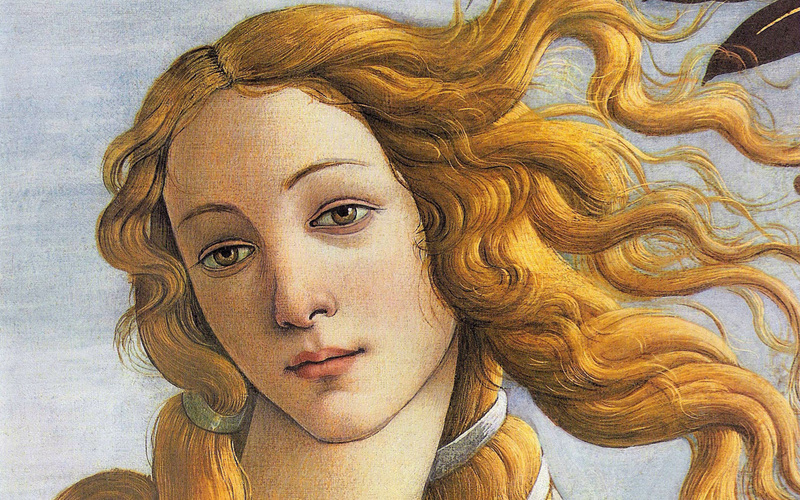 A fascinating journey through famous Renaissance Masterpieces and the life of their artists. 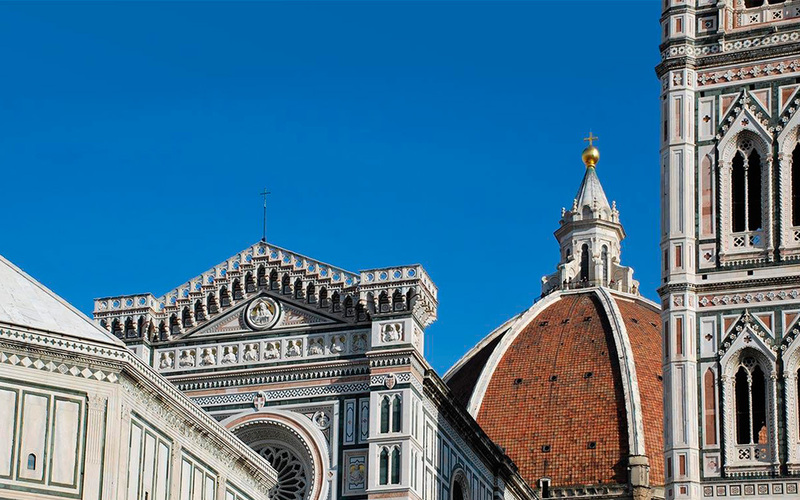 This private guided tour will show you the religious centre of Florence with the Cathedral of Santa Maria del Fiore, the Brunelleschi’s Dome, the symbol of Florence and masterpiece of Renaissance architecture and the wonderful interior of the Baptistery and its mosaics. 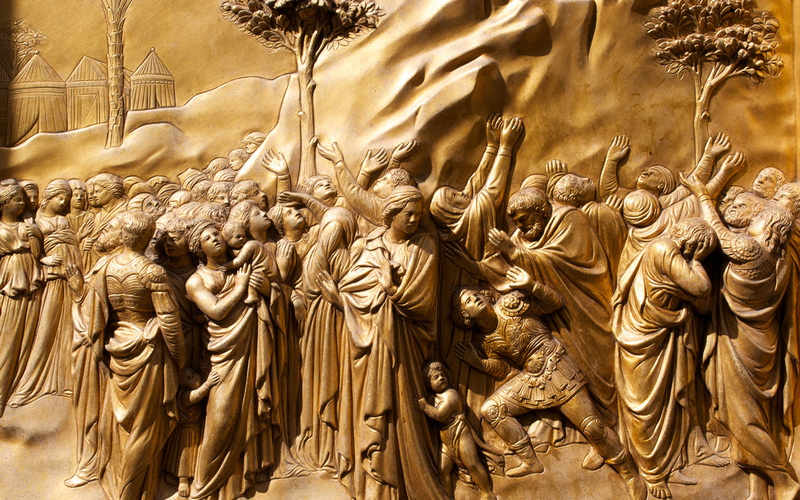 We will visit the Museum del Duomo, one of the most beautiful museums in the world since the reopening and modernisation in 2015, with the original “Gate of Paradise” by Lorenzo Ghiberti, the Pietà by Michelangelo and the wooden Maddalena by Donatello. 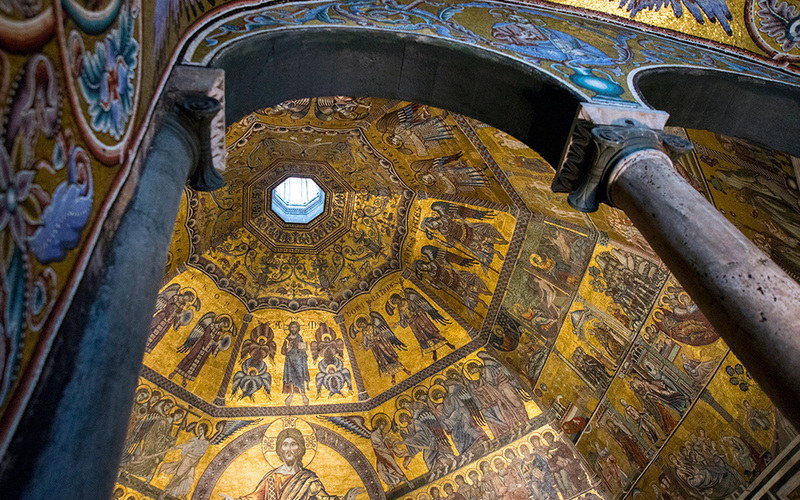 The Museum houses the richest collection of religious art in the world after the Vatican Museum. 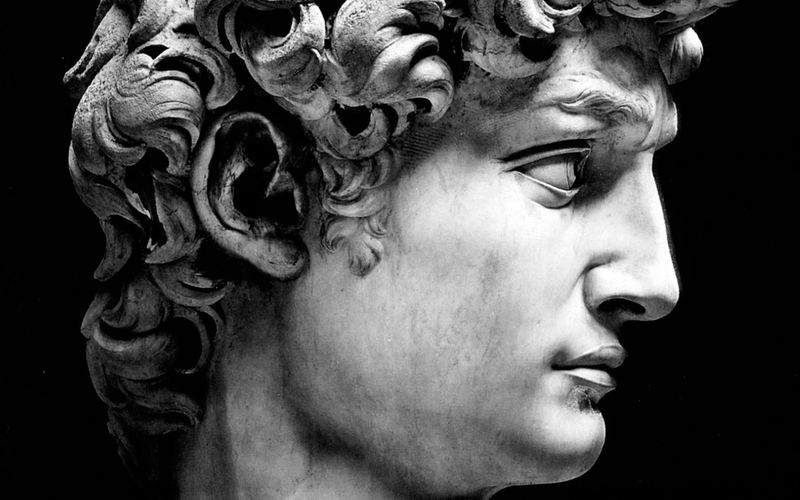 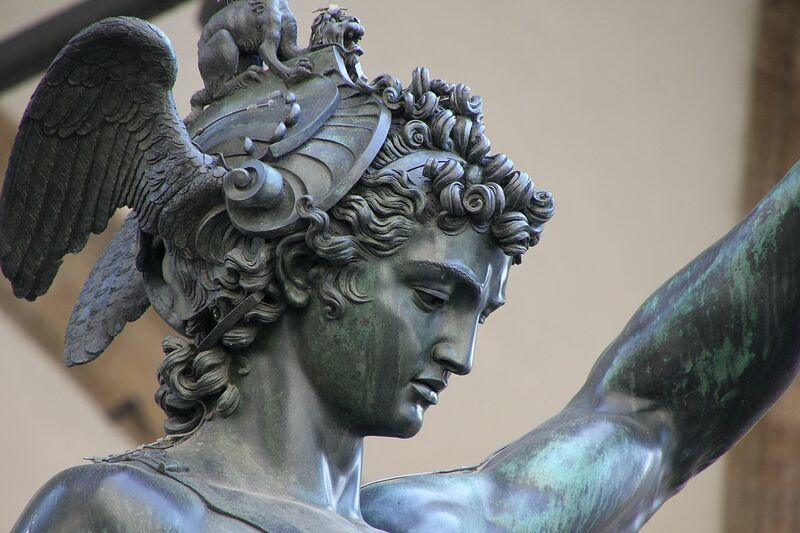 We will visit the Academy of Fine Arts to see the most famous statue of the world: Michelangelo’s original David. 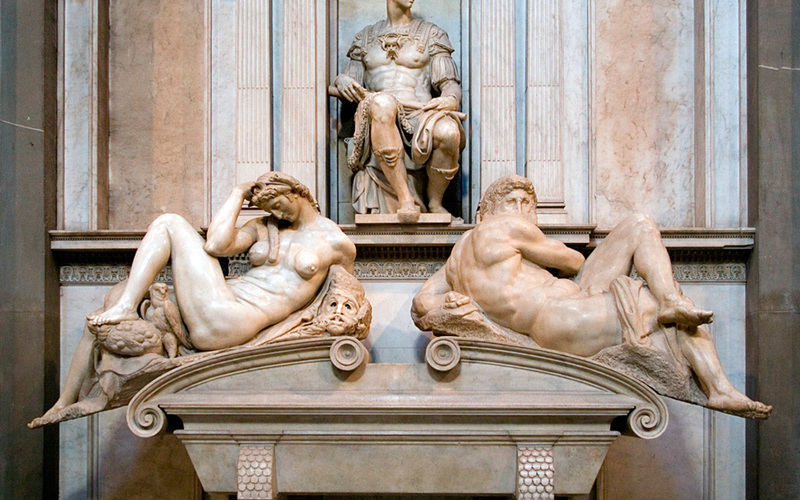 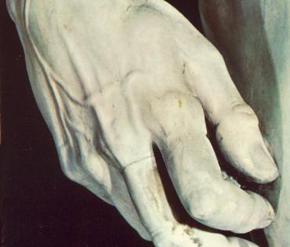 Michelangelo is definitely one of the most famous among Florentine Renaissance artists. 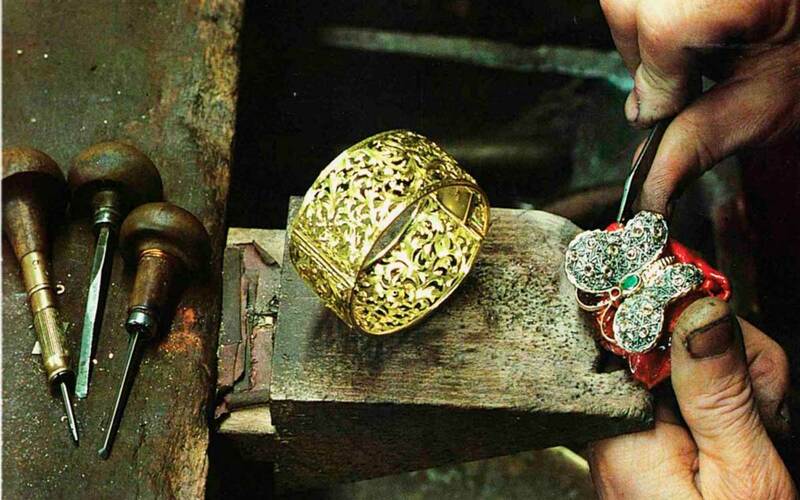 You will be overwhelmed by the stunning beauty of this unique masterpiece, while listening to the fascinating story of its making. 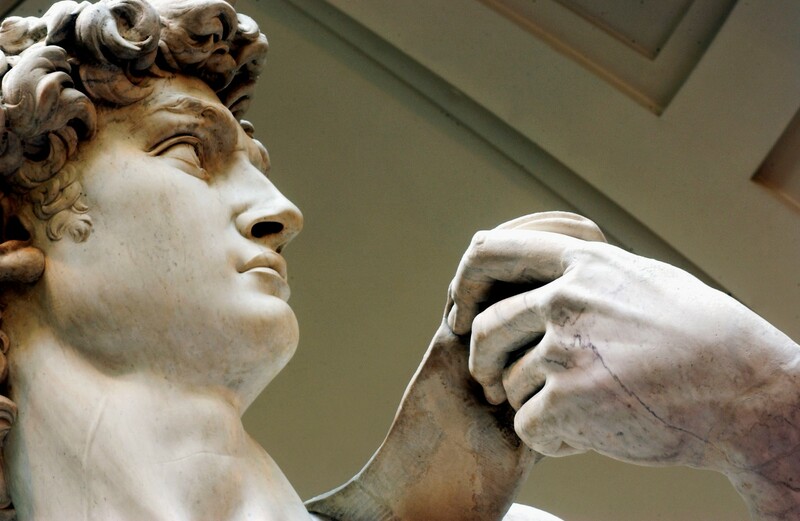 This private guided tour gives you an introduction to Michelangelo’s biography, achievements and struggles during his lifetime. 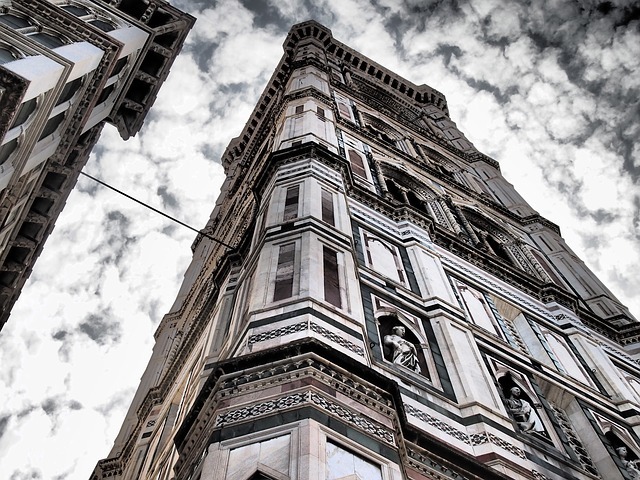 A following guided walking tour in the city will retrace its presence in town , from the Duomo for which it was originally commissioned to the Signoria square where it became the symbol of the Republican’s virtues and the cultural power of the city. 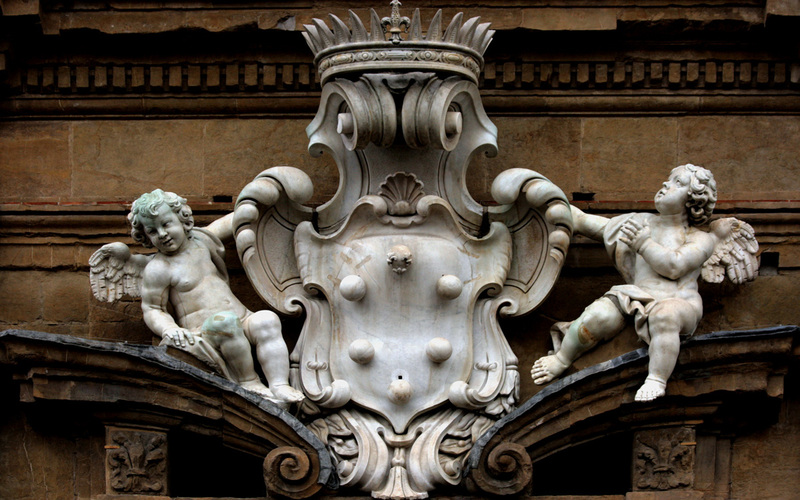 Do you want to know the story of the most Antiques, famous and rich family in town? 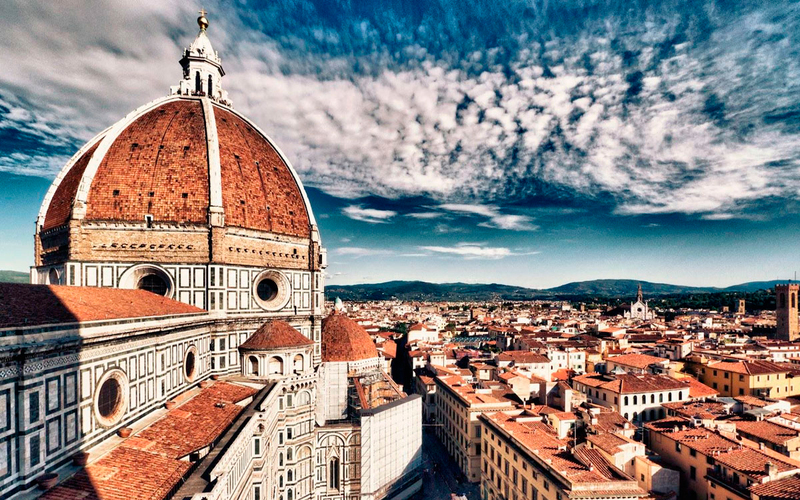 A private guided walking tour “in the footsteps of the Medicis” to discover the places and buildings connected to the family which made Florence even more magnificent. 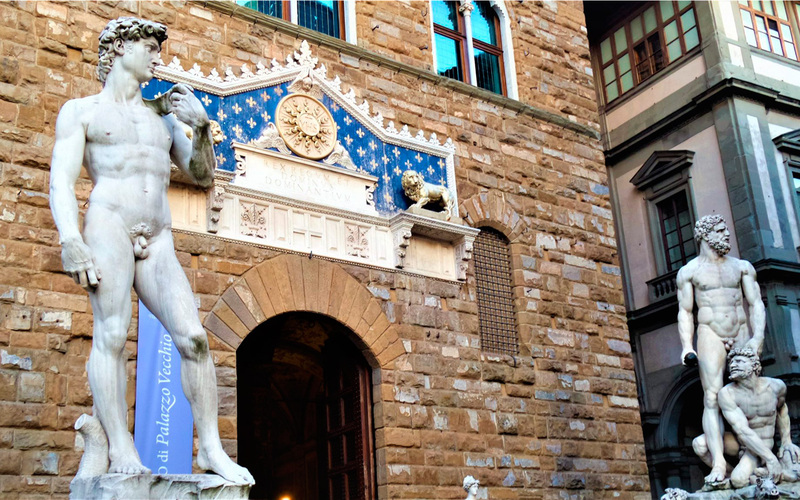 While walking Florence, one can’t help but run into the symbols of the Medici, the great Renaissance family that ruled this city politically during the Renaissance and patronized its prominent artists, including Michelangelo. 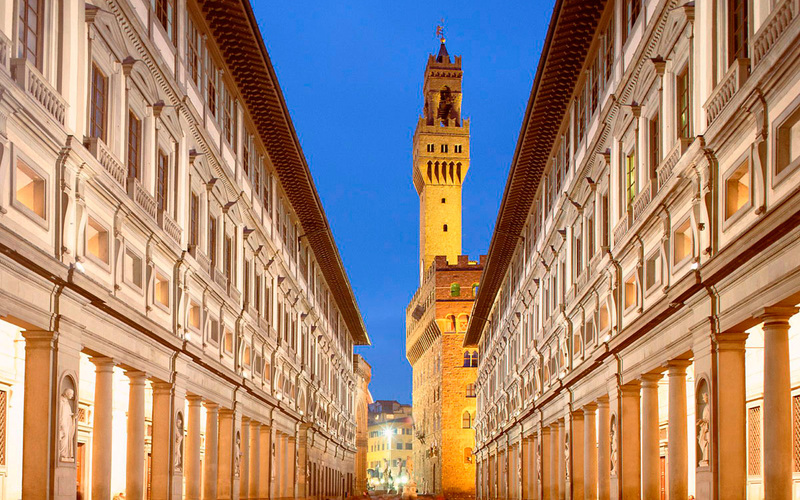 This private guided walking tour will help you discover the powerful family that ruled Florence for centuries, leaving an indelible mark on the city’s artistic and cultural life. 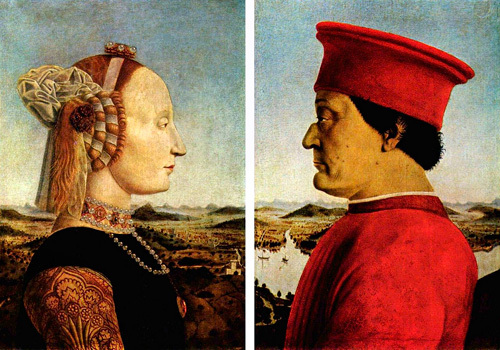 Since his rise to power until the last Grand Duke, the Medici family is indissolubly linked to the history and art of Florence. 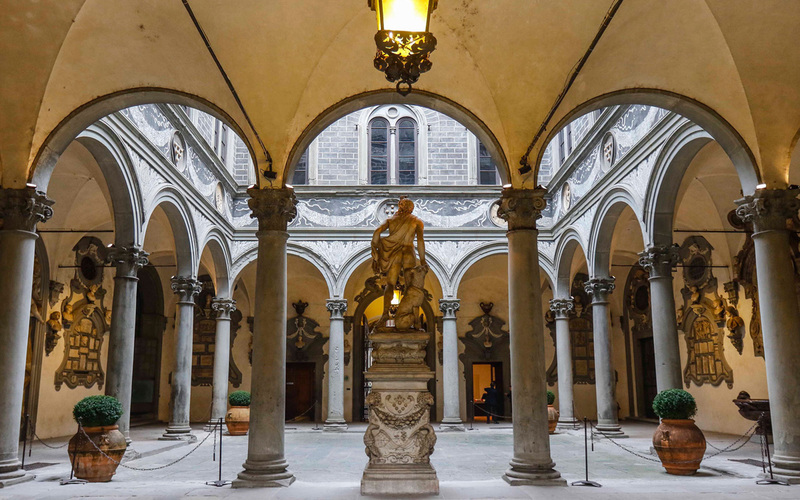 In this private guided tour, you’ll learn the political rise of the Medici, their lifestyle and most importantly their patronage of the city. 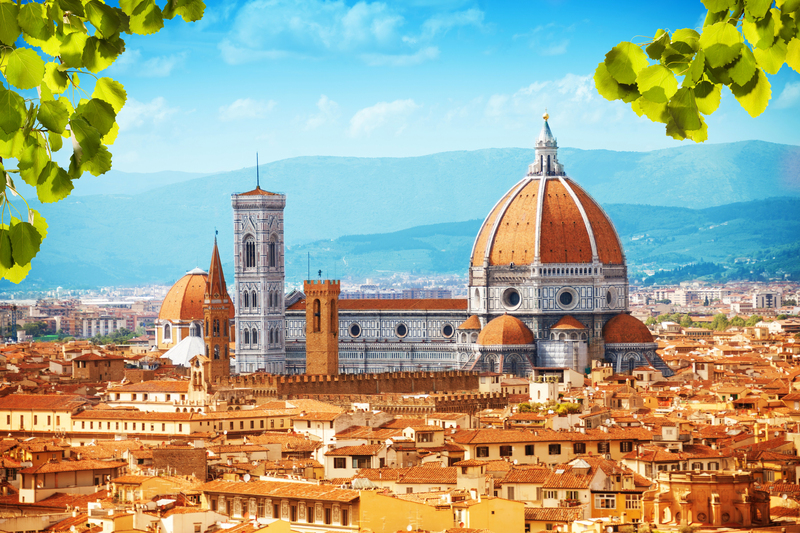 Since Middle Ages, Florence has been famous for its artisan production with its tradition which is still alive and flourishing. 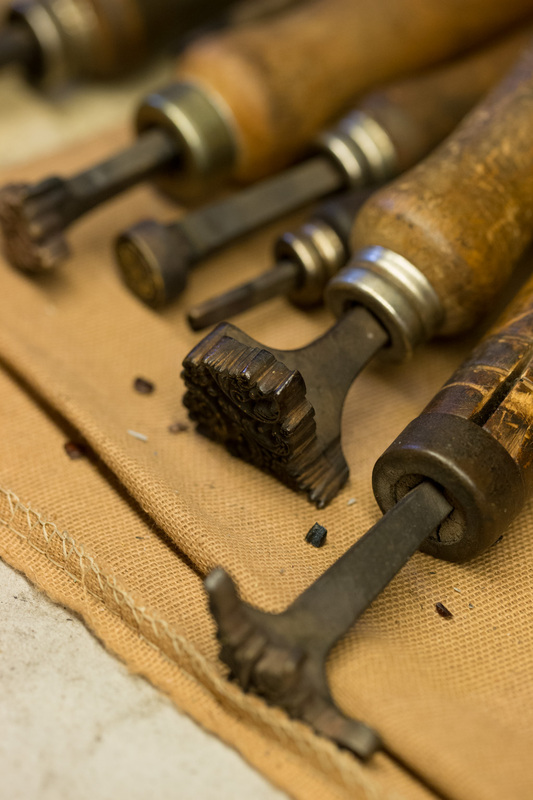 From the leather to the marmorized paper, from the goldsmiths to the ceramic, from the shoemaker to the hat makers, from the conservators of art to the florentine marble inlay, come with me to visit this little jewels shops to admire the beauty that skilled hands can create. 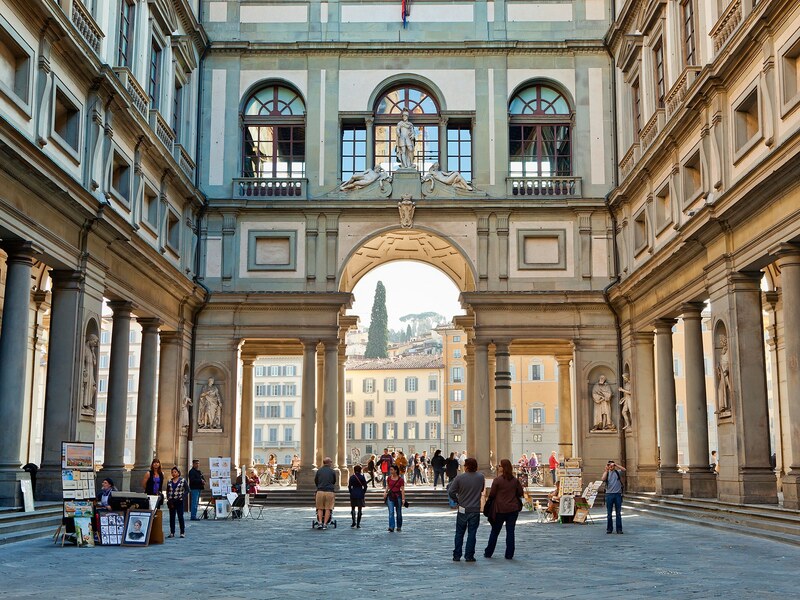 This private guided walking tour is very much for the traveler looking to scratch a little more beneath the surface of the city. 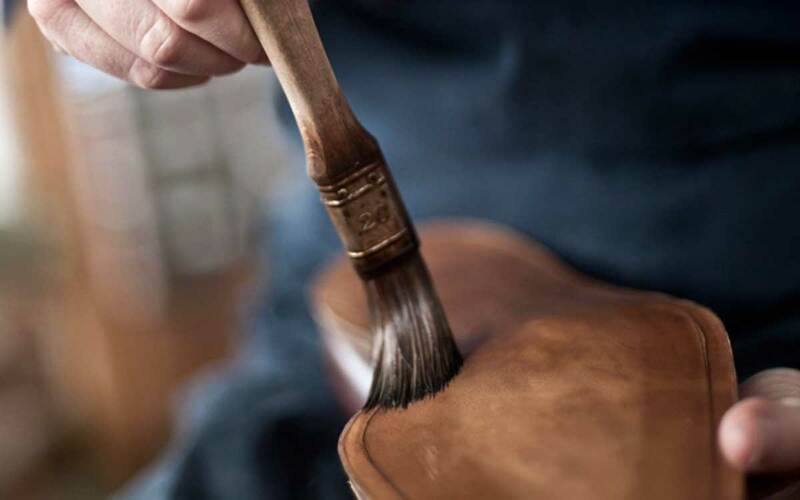 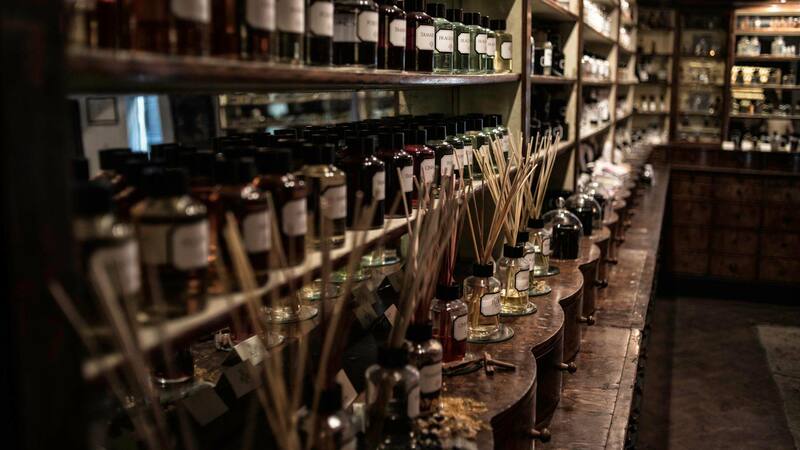 It should not be thought of as a shopping tour, instead, it is an in depth look into the workings of this precious field and should provide a better understanding of the importance of preserving and promoting this dying skills. 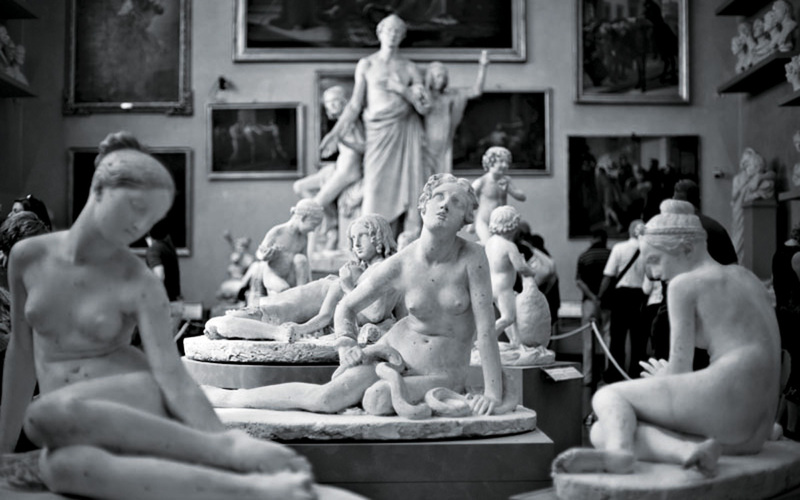 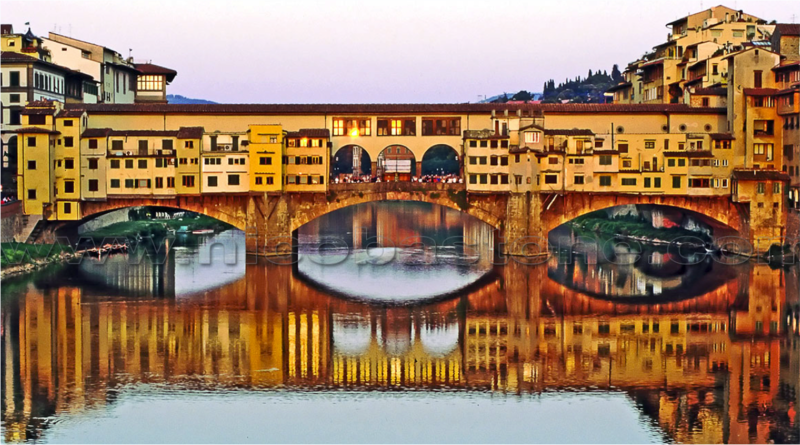 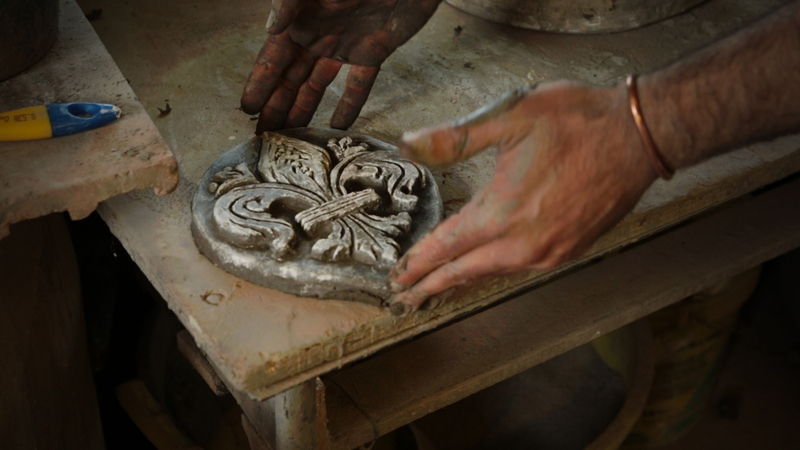 Florence, a link between the art and craft from the Renaissance to the present days. 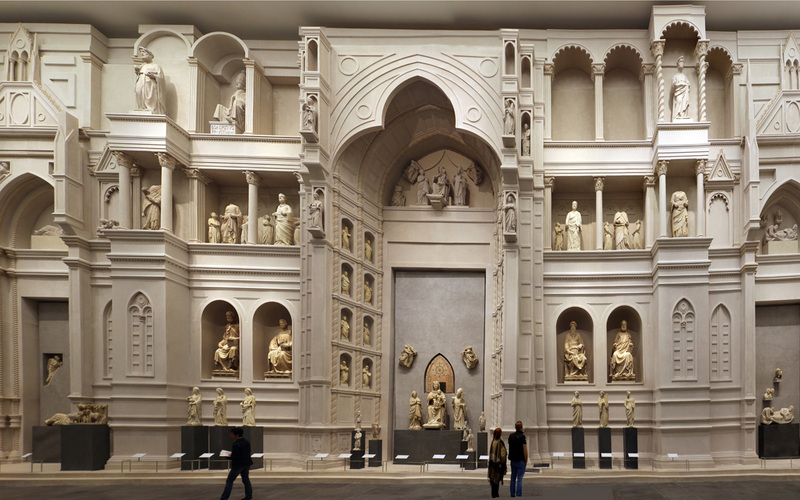 The prices are for the tour only and do not include the admission fees to the Museums or Churches. 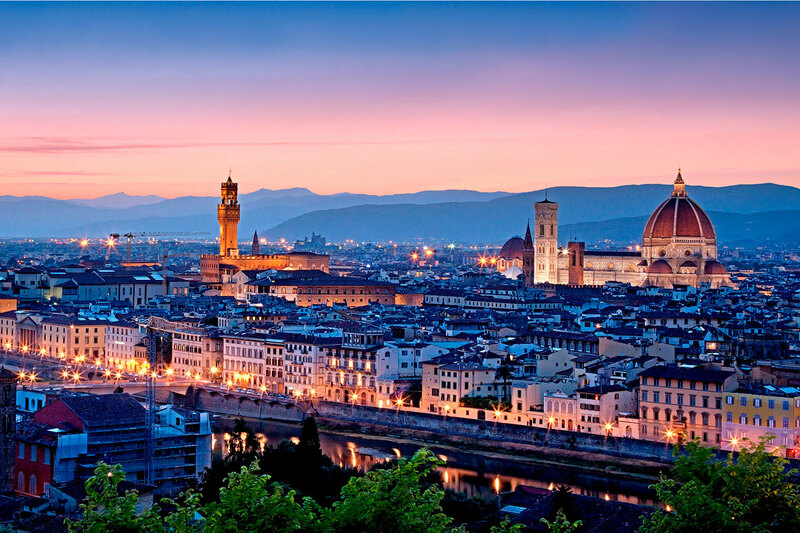 The proposed itineraries are only examples of possible tours. 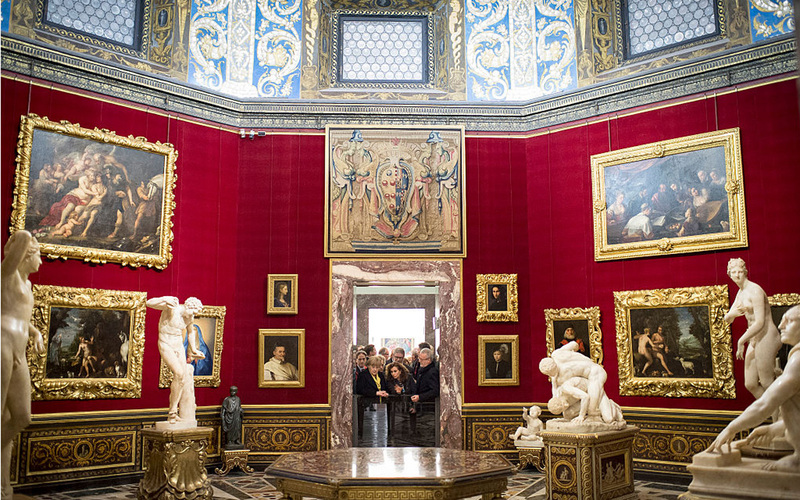 For customized itineraries I invite you to contact me directly to design your own special private tour.